On Tuesday we were joined by Eunice from the Plymouth Food bank who came to talk to the children about the work they do with families who are in desperate need of a food donation. 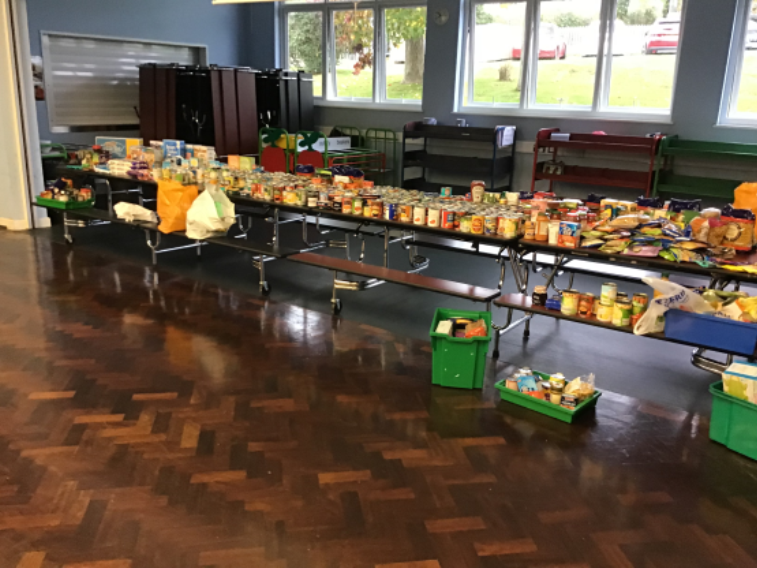 She told the children about how families needed to first qualify for a voucher in order to collect a food parcel and that they would then be allocated three days worth of food. Eunice was impressed by the collection of foods which had been donated by the children and answered their questions about how the Food bank scheme works. The donations were then collected up and taken back to the food bank, ready for distribution. A big thank you to all of you who contributed food to support and donate to the Plymouth Food bank as it is such a worthwhile cause.